Summertime has officially started, and it’s the best time of year! Family vacations, pool parties, the 4th of July… there’s no shortage of fun during the summer months. But hot summer weather can be challenging for bulldogs, and bully owners should take precautions to keep their pets safe and healthy. Here are some affordable tips for making sure your bulldog thrives during the dog days of summer. Bulldogs have short breathing systems that make them prone to overheating. 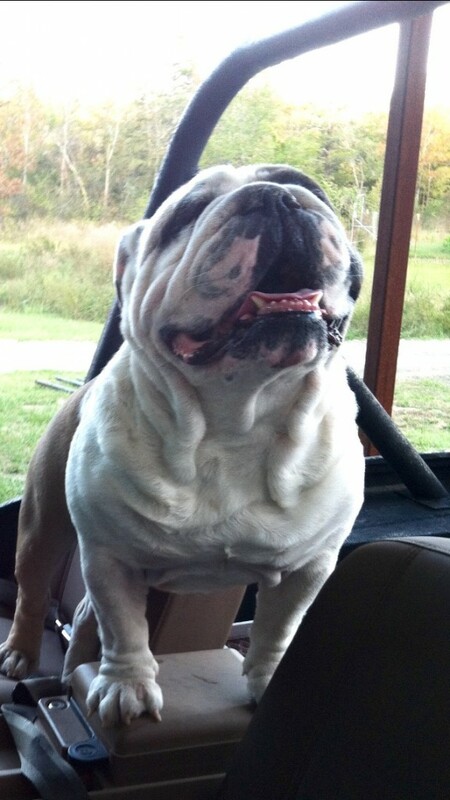 Every good bully owner knows that air conditioning is an absolute must, and it’s not safe for bulldogs to spend time outdoors during the heat of the day. But beating the heat doesn’t have to be boring for your bully! I like to keep my bulldog cool with homemade treats that I call broth-sicles. I fill an ice tray with low sodium chicken broth, and instead of using popsicle sticks, I use rawhide sticks. An hour or two in the freezer, and you will have a healthy, affordable snack that your bulldog will love! 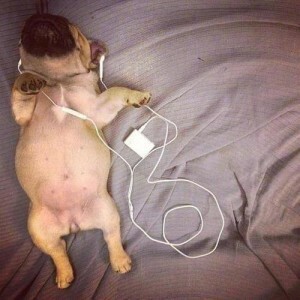 The wrinkles and skin folds that make bulldogs look so adorable require extra care to prevent health problems. The problem is that your bully’s skin folds are favorite hideouts for bacteria and yeast. Add in some summertime sweat, and your bulldog can develop a nasty skin infection. My vet recommends cleaning wrinkles with astringent pads, the kind that people use for treating acne. The pads work great, but they are expensive. The good news is that I found an affordable option that works just as well. I use baby wipes with witch hazel to clean between my bully’s skin folds. Every bulldog is different, but cleaning twice a week during the summer is the best schedule for keeping my bulldog’s wrinkles fresh and clean. Most summer days are too hot for my bully to safely enjoy any outdoor activities. But on cool days, he can’t wait to spend time in the yard. His favorite activity? Napping, of course! 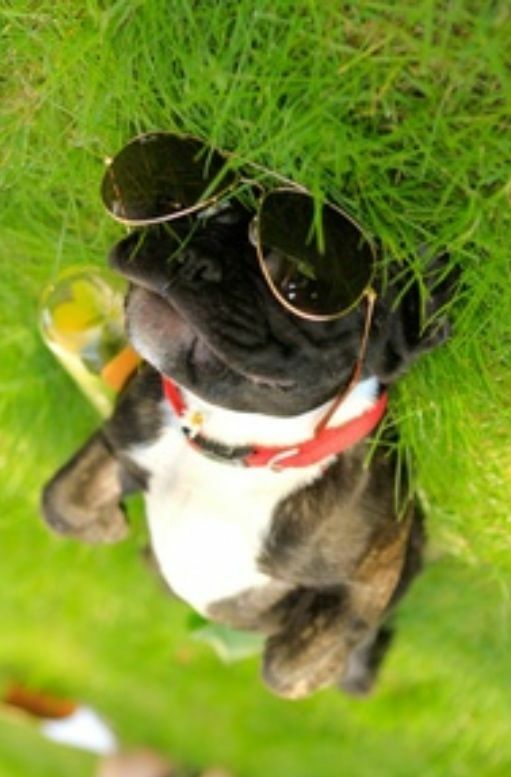 The problem is that my bulldog loves to lie on his back in the grass and soak up some sun. It doesn’t take long for his bare tummy to sunburn. Sunscreen isn’t just for people; dogs need it too. There are plenty of good sunscreens that are made especially for dogs, but I like to use baby sunscreen. It’s more affordable, and it works great for sensitive skin. The most important thing to avoid is sunscreen with zinc oxide. Zinc oxide is a common sunscreen ingredient, but zinc is toxic for dogs. During the summer, my bully’s skin can be a little oily, and he sheds a lot. 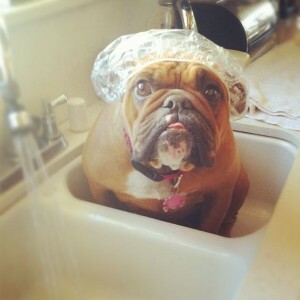 Hair and oil can mean big problems for a bulldog’s ears, so I step up my ear care routine in the summer. Bulldogs are prone to ear infections, and my bully is especially vulnerable because he has floppy, furry ears. Regular ear cleaning is the only way to protect your bully from ear infections. I start my cleaning routine by heating a small amount of mineral oil to body temperature. With my bulldog on his side, I drop about 5 drops of mineral oil into the ear, and I gently massage the outside of the ear to work the oil down into the ear canal. 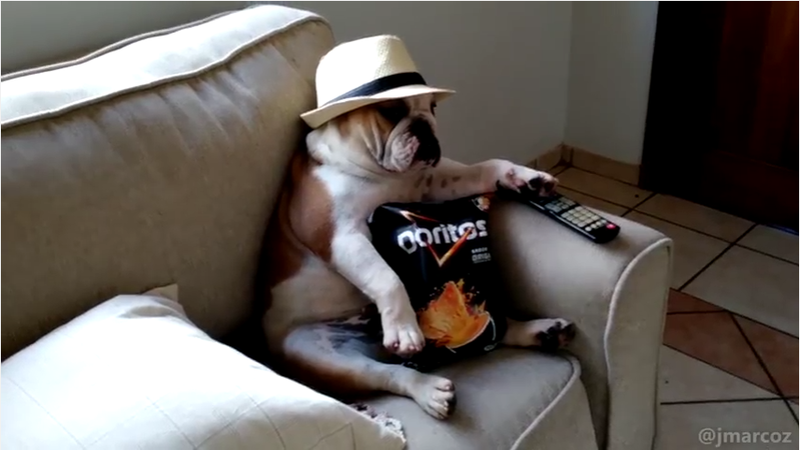 I wait a few minutes and let my bulldog sit up. Once the dirt and debris are released from the ear canal, I use a baby wipe to gently clean the inside of my dog’s ear. I prefer mineral oil because it is super affordable, and it also kills ear mites. Dogs don’t schedule their health emergencies for vet clinic hours so you need to plan ahead. Bulldogs are vulnerable during the extreme heat of summer, and an overheated bully is at risk for permanent organ damage and even death. Ask your vet about his availability during nights and weekends. Many vets rotate on-call shifts with their colleagues, and you need to have the emergency number saved in your phone. 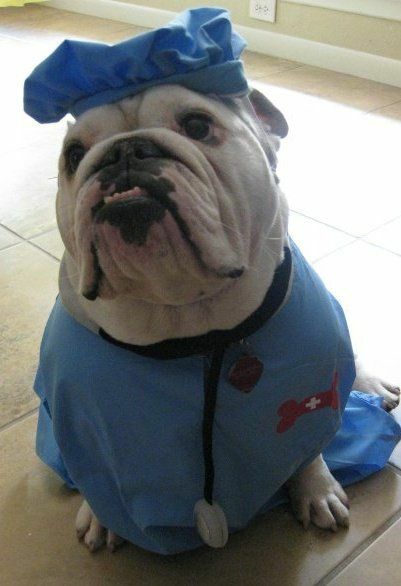 Urgent care vet hospitals are becoming more common and are a great option if your bully has a late-night emergency. Sometimes all you need is some advice, and my vet answers my emails night and day. Ask yours if he is willing to consult with you when his office is closed. Preparing for an emergency won’t cost you a dime, but it will be an investment in your dog’s future. Maybe it’s the kid in me, but I still get excited for summer. Some of your bully’s basic health care needs become more critical during the hottest time of the year, but you don’t have to spend a fortune to keep your bulldog healthy and safe. To you and your bulldog from me and mine, have a great summer!